Sunday Stillness – Why Go on a Mission Trip? This Tuesday I will be heading to Europe to be with a team of missionaries to Poland. This will be my 5th trip with the same leaders, Grace and Gene Fox, of International Messengers. I have to ask myself – why am I going? I haven’t gone every year. Sometimes I hear a voice that says: NO. But this year, I didn’t hear anything about “no” only a resounding “yes”. Why? And he said to them, “Go into all the world and proclaim the gospel to the whole creation” (Mark 16:15, NIV). You know I really don’t know. Except to say that God seems to know when He wants me to go. I certainly have developed a friendship and love for the people in Poland, especially the Polish pastor and his family. My hubby travelled with me for a holiday last year to meet them and see the country. I have pasted a few of our pictures below. My first trip – Karpatcz, Poland. When you hear God’s call – you will know it. When your heart can’t wait to go – you will know it. No matter what weird circumstances happen, if God wants you to go and you obey, you will go. I won’t be posting any contributors’ posts while I am away. I think that is too much and I won’t do them justice. Hopefully they will be back on August 7th. I hope to post my Sunday Stillness posts while I am gone. Here are some posts that I have written about my Poland adventures. I would appreciate your prayers while I am gone. Lord, You have called me to go. And I answered. Please watch over all our team and the Polish people. Help us to show them Christ in action. Prepare the way for us so the campers will be able to trust in Jesus. In Your Name. AMEN. Please join me for my newsletter and enjoy a free ebook. Also each newsletter I offer a free watercolour painting in .jpg. Join us. Find me on Twitter @authorJanisCox. Feel free to pin the picture. Follow me at AuthorJanisCox on Pinterest. And join me on Facebook at AuthorJanisCox. PS – Don’t forget to check out Tadeo Turtle – a story of acceptance for children up to age 7. Available on Amazon. Special announcement to the people who link. If you wish to be notified that the linky is open please email me at Janis. Due to new legislation in Canada against anti-spam emails we must have permission to email you. Thanks for taking the time to do this. This entry was posted in Prayer and tagged Janis Cox, listen to God, mission trip, Poland, spread the Good News, Sunday Stillness, why go on Missions on July 19, 2014 by JanisCox. Do not be anxious about anything, but in everything, by prayer and petition, with thanksgiving, present your requests to God. And the peace of God, which transcends all understanding, will guard your hearts and your minds in Christ Jesus (Philippians 4:6, NIV). Prayer builds your spiritual strength. It can include praise, confession, thanksgiving or appeal. Prayer puts you in contact with God, Who has more power than you could ever imagine. When you pray, He hears you and fills you with the power to do things you never thought you could do. What cardiovascular exercise and strength training do for building a strong body, prayer does to build spiritual strength. Your body requires exercise and food, and it needs these things regularly. You cannot just take care of it at the beginning of the week and forget about it. Your spiritual life is similar to your physical body in that way. You cannot pray just once and a have healthy growing spiritual life. Prayer is not just for highly-spiritual people. God delights to have you come to Him with your requests. You do not have to be “good enough” to pray. Like exercise, prayer is not a one-time thing. You can pray every day, anywhere and any time. It is important to spend time in private prayer each day – just you and God. Prayer is not talking to others, reading or studying. It is not “doing” something. You need to let everything inside you get still. You may feel compelled to cram every moment with activities and external stimuli. Still your mind and listen for God’s voice to emerge. (based on Psalm 46:10). Prayer is not just about you talking to God, but God talking to you. With prayer you can have a private audience with the Lord. An intimate dialogue goes on inside where there may not be an audible voice, but Spirit to spirit. Allows intimate dialogue with God. Encourages you to face a new day. A pure motive delights God. Prayer, when combined with quiet time, can decrease respiratory rate, heart rate, elevated blood pressure and muscle tension. During prayer, the body escapes from the stresses of everyday life and enters into a relaxed state. Dear Lord, thank You that we can come to You as we are. You love us and want to hear from us. You are a good and gracious Father. This entry was posted in Prayer, Under the Cover of Prayer and tagged Fit for Faith, Kimberley Payne, listen to God, prayer, quiet time, Spirit on July 8, 2014 by Kimberley Payne. Sunday Stillness – What is God Calling You to Do? We have to make an expression of the new life, to form the mind of Christ ~ Oswald Chambers. AHA – Don’t get stuck in the pigpen. So he got up and went to his father (Luke 15:20, NIV). When we have been given the mind of Christ we can’t stay in the same position. God is calling us. Therefore go and make disciples of all nations, baptizing them in the name of the Father and of the Son and of the Holy Spirit (Matthew 28:19, NIV). Each of us is being called to do this. Are you hearing His call? God creates, blesses, and saves each of us for a radically global purpose ~ David Platt. I read an excerpt from David Platt’s book, Radical – Taking Back Your Faith from the American Dream. We are not to sit comfortably on the sidelines cheering on our missionary friends. All of us are called to “go”. Has Christ been knocking on your heart? Are you stuck in the pen – or are you going to make the move and listen to God? If God is calling you – you need to answer the call. The truth is we need to obey God even when we don’t feel like it ~ Kyle Idleman. I am off to Poland for my 5th mission trip this summer. I love to watch God take control of my life. I love to watch Him work out things that I can’t deal with. I want to carry out His plan. Do I always “feel” like going. No – not really. But I know that it is right to go. Each follower of Christ in the New Testament, regardless of his or her calling, was intended to take up the mantel of proclaiming the gospel to the end of the earth ~ David Platt. International Messengers needs volunteers to go to Romania this summer. Please email me for further information if God is putting this on your heart. I will connect you. You may not consider that you are stuck in a pigpen. But if you are not moving where God is calling you – that is exactly where you are – the pigpen. Our new lives are about obeying Christ. You may not be called to “go” abroad, but you are definitely being called to “go” somewhere. What is God calling you to do? Please don’t wait. Do it (whatever “it” is). And do it now. Lord, I know that there is someone out there reading this whom you have called to move in a certain direction. Help them to hear from you directly so they will know for sure and will make the move to where you are calling them. If you are calling them to take a short-term mission trip make it abundantly clear to them so they will get up, say yes and go. I hope you consider joining me my newsletter. The next newsletter will go out next week. A free painting in .jpg as a gift. Join us. This entry was posted in Prayer and tagged David Platt, disciples, Faith, Go when He calls, Janis Cox, Kyle Idleman, listen to God, Oswald Chambers, Sunday Stillness on May 24, 2014 by JanisCox. A number of years ago I attended a Spirit-Filled weekend retreat with 40 women. We went away to a monastery, with our speaker, Ruth Conard. I knew that God wanted to use this time to speak to me. I had been praying for this. And He answered me. God spoke through Ruth’s talks, through friendships and through our quiet times. But He also talked through a Scripture passage. After one break time we returned to the conference area to find slips of paper upside down on each chair. As I chose a chair, I discovered this passage on my slip of paper, “Feed my lambs”, John 21:15. I had just begun to journal and this Scripture spurred me on to start writing for Jesus. After this conference I started my first blog. I have continued to blog ever since. I needed to pray more. I continue my early morning daily study patterns because Jesus has called me to FEED HIS LAMBS. What passage has God put on your heart? Would love you to come with me and my He Cares for You Community by joining my newsletter. This entry was posted in Under the Cover of Prayer and tagged Contributor, feed my lambs, Janis Cox, Jesus, listen to God, retreat, Ruth Conard, Scripture on March 14, 2014 by JanisCox. That seems to be the word I hear constantly during the day. Pray for this. Pray for that. Don’t forget to pray again for this. Even our pastor here in Arizona did a session on prayer. He used the book The Circle Maker. You can listen to his sermon, Think Long. God’s ability to answer our prayers is bigger than our ability to listen. We overestimate what we can do in one year, but underestimate what we can do in 10 years. Don’t think less of ourselves but do think of ourselves less. I am striving this week to really listen to when the Holy Spirit says PRAY. What about you? This entry was posted in Prayer and tagged Janis Cox, listen to God, persistence in prayer, pray, prayer, Watchful Wednesdays on October 30, 2013 by JanisCox. GIVE – DOES GOD WANT TO GIVE TO US? As I was doing some writing on my computer, I wondered about meeting anyone in the deserted campground we were in that evening, and then I heard a knock on the door. It was the camp hostess with a coupon for an extra night stay, so I invited her in for a visit. Soon I was explaining a book I’m writing on “Listening”, listening to the still, small voice of God speak to our minds and hearts. Right away she was interested to read some of the entries I’ve made over the years as I’ve heard God speak to me when I prayed and then listened. We had a wonderful conversation sharing our stories of life and walking with God. After about twenty minutes of an engaging connection, she left with an inspiration to draw closer to God and for her also to listen to the voice of God speak in her own life. Again I discovered God will bring the people he wants into our lives, and that God can use us to touch, hear and talk to others. Yes, my child, I love to give to you. and so many perceive lack and need. If only all could see the abundance and wealth all around them. I realize this doesn’t come easy for you. emotions and thoughts of limitation. and give to my world. 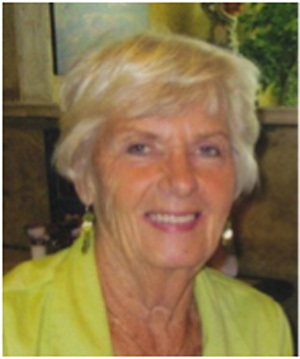 Rose was born in Kirkland Lake, Ontario, and speaks on subjects related to marriage, family and mental health. Her travels take her throughout North America and she winters in Cape Coral, Florida. Her published words include a short biography in Clayton’s Kids (2009) and a column entitled “Listening” which will be part of a forth-coming book. Contact Rose. This entry was posted in Under the Cover of Prayer and tagged Contributor, He speaks, listen to God, Rose Harmer on June 27, 2012 by Rose Harmer. Last month our guest speaker, Jessica, spoke in How to Pray – Part 1 repetitive babbling and unnecessary prayer language. This is a continuation of a four part series. Many thanks to Jessica for allowing me to repost. This week we’re going to continue to talk about vain prayers. Why talk about how not to pray? Well, Jesus did, so he must have thought it an important subject to study. And I’ve come to believe that many many people’s prayer lives consist in large part of prayers that, if I’m being totally honest, affect no change in their life, or anyone else’s. I don’t know about you, but I want to come to a place where I can feel the presence of God and the power of the Holy Spirit in my communication to God, and His communication to me. First, let’s look at the word vain. 1. excessively proud of or concerned about one’s own appearance; conceited. 3. ineffectual or unsuccessful; futile. 4. without real significance, value, or importance; baseless or worthless: vain pageantry. As I’ve already said, I believe many of our prayers are in vain. Meaning, they are ineffectual and unsuccessful. They are without real significance; they’re basically worthless. I know that’s a bold claim to make, and I know that God loves everyone regardless of if I think they’re praying “wrong”, but that’s no excuse for keeping on in our ignorance. Shouldn’t we want to seek an intimate and powerful relationship with God through our prayer? And to get to that place, we have to weed out the ineffectual prayers. I’m going to talk about 1 kind today. 1. Asking God to do what He’s already doing. How often have you prayed for God to “be with” a person who was in need? Have you ever considered that is sort of a silly request? Literally the very last thing that Jesus said to his disciples was that surely he would be with us until the very end. We don’t need to ask God to be with us if we are members of his family. Instead, we need to pray that we will be aware of his presence, that we will be confident because of it. Asking God to be with us when he is already there is one kind of ”babbling”. The next time you’re in a gathering of believers, notice how much of their prayers consist primarily of asking God to “be with” people. So, what should we do instead? Or, if you’re really moved, you’ll “bring it before the church”—aka: mention it—and get everyone to pray for Mr. So-and-so. They’ll all pray about the same thing that you did probably. But if you keep in mind that God already knows everything (so you don’t need to “tell” him when someone’s in trouble because he already knows what we need) and he’s already “with” us, you begin to see where we may have messed up. If God has actually indwelled you with his Holy Spirit, then whenever something is “pinging” your Holy Spirit radar, it’s God. That’s Him. Trying to tell you something. But if you get confused and forget who God is, then you’re bound to misunderstand him when he talks to you, in fact you won’t even hear him at all past that first ping, because you’re too busy talking. Because you’ve decided already that you know exactly what to do: pray! Let’s look at that prayer (talking and listening to God) from both sides of the Holy Spirit walkie talkie. We’re not understanding what’s happening. We’re letting our religion get in the way of our relationships. Between us and God. Between us and us. Just imagine how close-knit a church would be if they responded properly every time God spoke? If we immediately reached out to the Mr. So-and-so’s and helped them through their hard times? Imagine if you showed up at someone’s door right in the middle of their deepest depression and said, “God told me to come here and help you. He cares about you and he wants you to know that.” That would freak some people out! That might start a real church. Surely you’ve heard the concept that as followers of Christ we’re all parts of His Body. No really, it’s true. It is our job to do his work here on earth. He gave us the authority and the glory to do that work, and even left us with the Holy Spirit to always ping us in the right direction. So, Church – instead of praying ineffectual prayers, maybe we should go be the body. Makes sense to me. This entry was posted in Prayer and tagged be the Body, Holy Spirit, Jessica Bowman, listen to God, vain prayers on December 19, 2011 by JanisCox. Do you find sometimes that you pray and pray and pray about something and nothing seems to happen? I have found that usually that happens because God has another plan. He has either a totally different plan or my timing is wrong and I must wait. Going ahead of God, I have found is NOT a good idea. “Go, sleep with my maidservant, perhaps I can build a family through her” (Genesis 16:2 NIV). Sometimes I think and act before I pray – another NOT so good idea. “This kind can come out only by prayer” (Mark 9:29 NIV). If I am faced with a wall – where nothing seems to be working – I need to stop fretting and pray. And pray some more. That certainly shows me the power of prayer. From the beginning of time our wills fight for supremacy instead of God. Father we know and acknowledge that You alone have the power to change lives. We need to be here – in Your Presence to get right with You. Help us to clear a path to You – to get rid of any bramble or brush in our spirits that block that path. Help us be face to face with You, Jesus. We know You are the Way, the Truth and the Life. We lay down before You – offer ourselves and open our hearts and minds to listen to Your words. In Your name, Jesus, we pray. Jan, a former school teacher and small business owner, found a new passion in writing in her retirement. 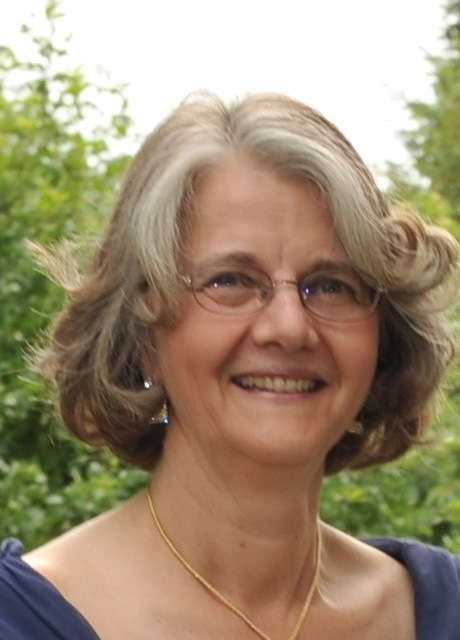 She has published two devotionals and a number of articles for magazines and a Bible study. 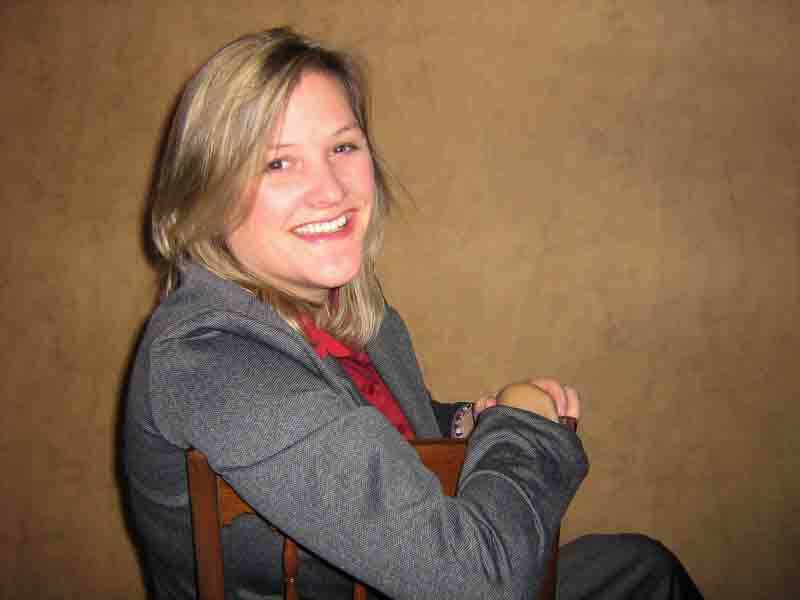 She is owner of Under the Cover of Prayer and moderates the site. She also writes at A Better Way. 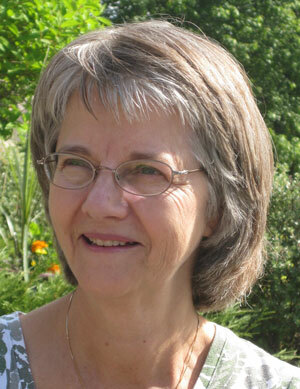 Jan has written a children’s book in which she is also the watercolour illustrator. She hopes to publish it this year. This entry was posted in Prayer and tagged answered prayer, Contributor, going ahead of God, Jan Cox, listen to God, Oswald Chambers, Power of Prayer on October 7, 2011 by JanisCox.